Three great Central Texas courses for the price of one! Teravista's membership program is like a health club for your golf game! Allow our planners to help you set up your perfect special event! See what it means to be an Teravista member today! Don't forget to visit our sister courses! Teravista is a Championship 18-hole golf club that captures the beauty of the Texas Hill Country with views that span for over 50 miles. The rolling terrain provides a challenging 7,200-yard layout and offers 5 different sets of tees that will challenge golfers of all ages and abilities. Teravista has just introduced “The Players Club”. A membership program that is like a Health Club for your golf game. You can work on your game based on your schedule. Practice for free anytime and play up to two rounds of golf per month, attend our weekly clinics and learn more about the game and become the player you have always wanted to be. The Practice area at TERAVISTA GOLF CLUB is State of the Art with multiple hitting, pitching and chipping areas for your continued improvement. 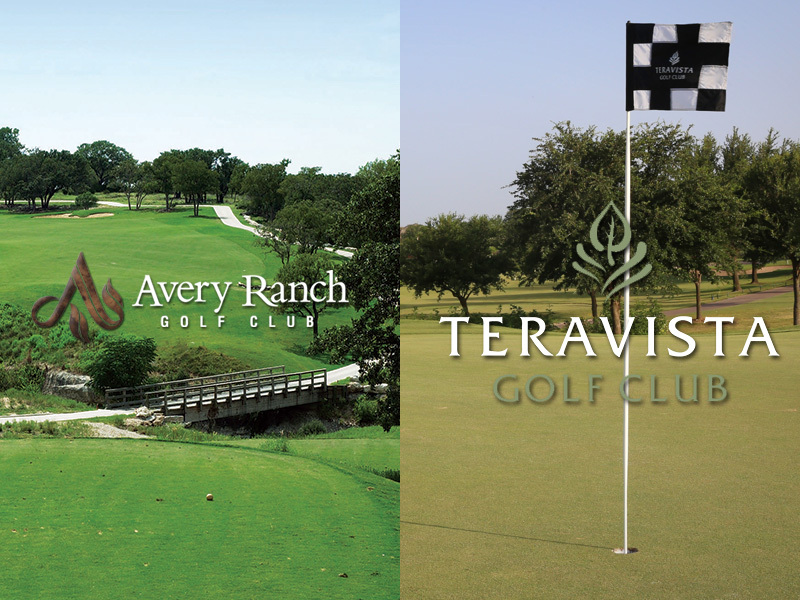 Teravista Golf Club has always been known for great golf course conditions and the Best Greens in the Austin area. Caldwell Café our full service restaurant is open for Breakfast, Lunch and Happy Hour dining offering a very nice selection of golf inspired menu items and our beer is always cold!! Two Premier Central Texas Golf Courses For The Price of One!